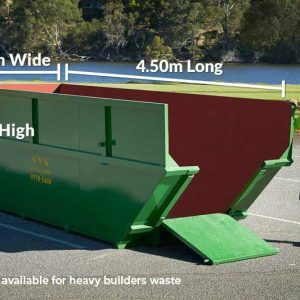 When you need a 12 cubic metre skip bin, turn to A’n’K Budget Bins. 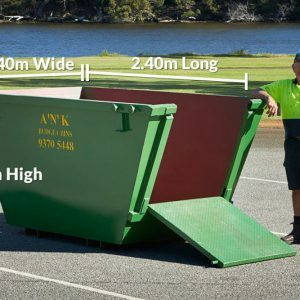 This is our biggest bin for hire. It is typically booked by clients in the construction business or other commercial customers. However, community groups can also hire it for their clean-up projects. 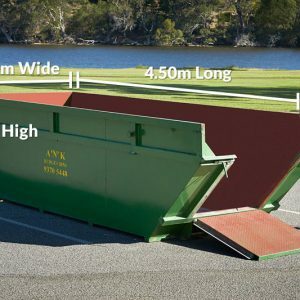 Our 12m³ skip bin is also ideal when you’re completely clearing out a house. It can also be used for removing items from a larger deceased estate. 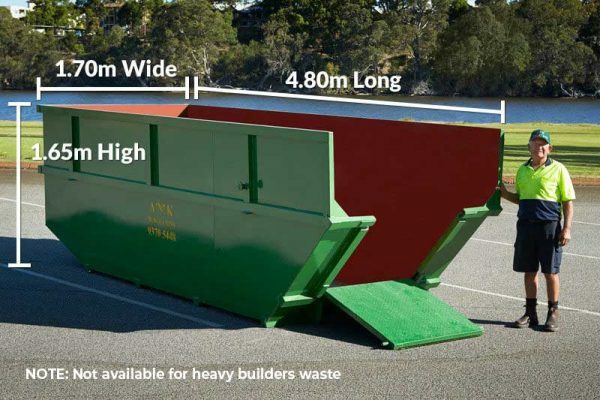 When properly and carefully loaded, this skip bin can hold 12 trailers’ worth of waste. It also has the same load capacity as 48 wheelie bins. You can use it for common builders’ rubbish, including concrete, bricks, wood, insulation, nails, electrical waste, rocks and rubble. On the other hand, please avoid using it for hazardous materials such as asbestos/fibro cement sheeting, paint tins (empty or filled), used or unused oil, car tyres and tree stumps. 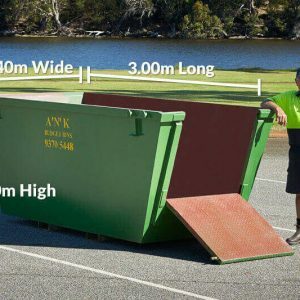 Please remember that our 12m³ skip bins require at least 3 metres wide of driveway access and at least 4 metres of height clearance.